Scooper - Technology News: What is your central bank up to? The Bank of Japan has surprised investors around the world by holding off expanding monetary stimulus, despite the problems facing the country’s economy. When the BOJ pushed interest rates below zero for the first time in late January, it followed similar moves by central banks in Europe aimed at encouraging lending and stimulating growth. The Federal Reserve, meanwhile, appears to be heading in the opposite direction, and tightening monetary policy. Central banks are not generally known for communicating clearly with the outside world, which makes it difficult to know exactly what lies ahead. With this in mind, here’s a round-up of steps three of the world’s leading monetary authorities have taken in recent months. In its latest meeting on 28 April, the BoJ chose not to take any extra measures to kick-start Japan’s faltering economy – a decision that surprised financial markets, which had been expecting some action from Governor Haruhiko Kuroda and his colleagues in response to concerns about tumbling inflation and a strengthening yen. The currency has risen by nearly 10% against the dollar since the introduction of negative interest rates in late January, and is affecting prospects for higher wages and investment. Following the BoJ’s announcement that it would keep monetary policy unchanged, the yen rallied against the dollar while stocks in Tokyo slumped. Japan’s economy is battling a raft of problems , including deflation. Hit by the slowdown in China and other emerging economies, it contracted in the last quarter of 2015, and is expected to narrowly escape recession in the first quarter of this year. In an effort to revive the economy and fend off deflation, the BoJ expanded its quantitative easing programme (printing money to buy bonds) and introduced a negative interest rate policy, which charges banks a 0.1% fee for additional reserves kept at the central bank. The ultimate aim is to encourage banks to lend and businesses and savers to save and invest. But Japan’s failure to make any headway towards recovery has called into question Prime Minister Shinzo Abe’s policy mix of monetary easing, spending and reform, known as Abenomics . The Federal Reserve left US interest rates unchanged in a range of 0.25% to 0.5% on 27 April for a third time this year, but signalled it was edging towards raising rates again. The Fed’s policy setting committee announced rates will remain where they are until at least June. In December, as the US economic recovery continued, the central bank raised rates from near zero for the first time since 2006 – the first hike since the Great Recession. At the time, chair Janet Yellen said the US economy “has come a long way” and that the Fed would act gradually. Since then, rates haven’t moved as turbulence in the global economy threatened the US recovery. Early in the year, financial markets seesawed, while the oil price plunged. And the IMF recently revised its 2016 global growth forecast from 3.4% to 3.2%. In a statement released after its recent meeting, the Fed said that it is continuing to "closely monitor inflation indicators and global economic and financial developments." The Fed’s latest announcement came ahead of the news that the US economy grew at its slowest pace in two years during the first three months of 2016. Buffeted by falling corporate investment and lower exports, GDP growth slowed to 0.5% in the first quarter of 2016 – less than half the rate of the previous quarter. The economy is also feeling the effects of a deceleration in consumer spending growth. While the Fed is trying to normalize monetary policy, the European Central Bank (ECB) has opted for ultra-low rates and quantitative easing – policies that are proving unpopular with some countries in the currency union, particularly Germany. At its most recent policy meeting, the ECB decided to leave its stimulus programme unchanged after expanding it in March. But ECB President Mario Draghi stressed he is poised to launch even more stimulus if the Eurozone economy runs into more trouble. He said that the governing council, "if warranted to achieve its objective, will act by using all the instruments available within its mandate." In March, the stimulus measures included reducing the main interest rate from 0.05% to 0%, and expanding the bond-buying programme from €60bn a month to €80bn. 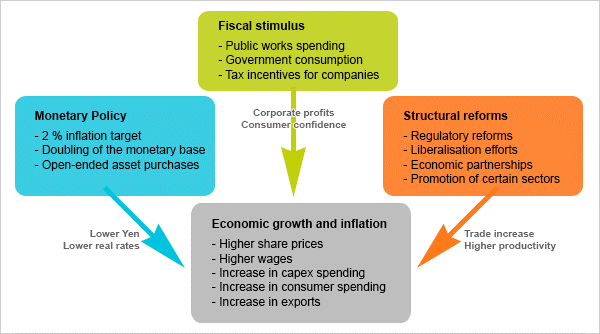 These moves are aimed at stimulating growth in the Eurozone economy and preventing deflation. The ECB’s mandate is to raise the Eurozone’s level of inflation back up to around 2%. The current level of inflation, which is hovering around zero, is considered bad for price stability. Draghi warned inflation could go negative again this year but should start rising before the end of year and pick up in 2017. Have you read? 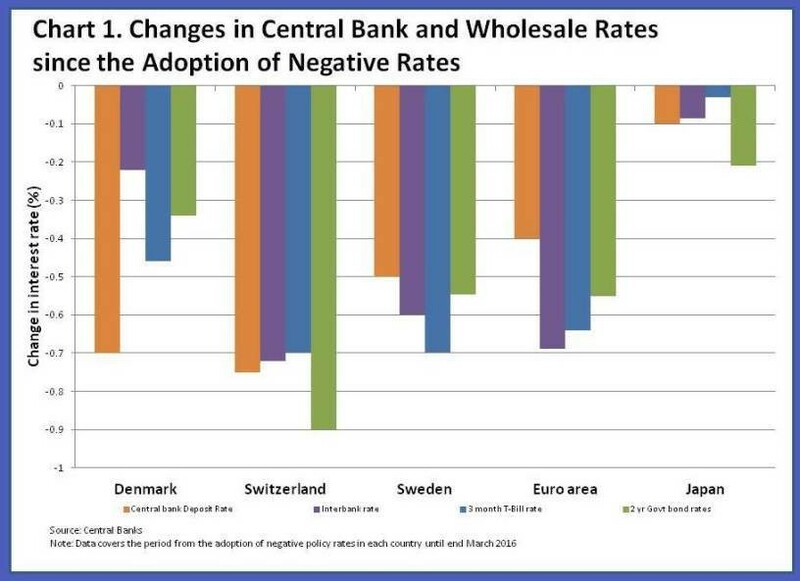 Why is everybody talking about negative interest rates? Why is Japan’s economy shrinking? Are central banks too powerful for their own good?